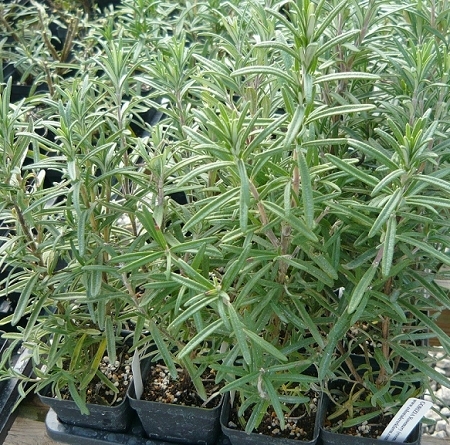 Gorizia Rosemary - Excellent culinary rosemary with a strong robust upright growth habit, reaching up to 5' tall. Large leaves, and excellent flavor. Clusters of sky blue flowers when in bloom, very attractive in large containers. Perennial zones 8-10 Live starter plant in 3 inch container.